Premier League Title Race: How can we explain Liverpool's loss of form? 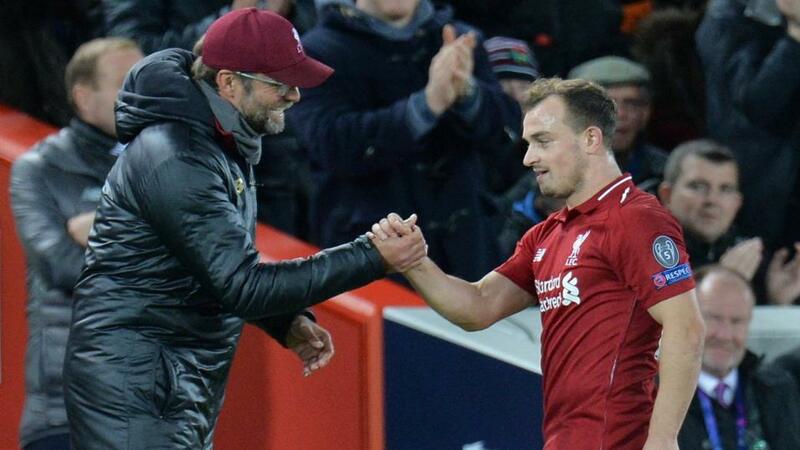 Has Jurgen Klopp been giving Xherdan Shqiri enough game time? 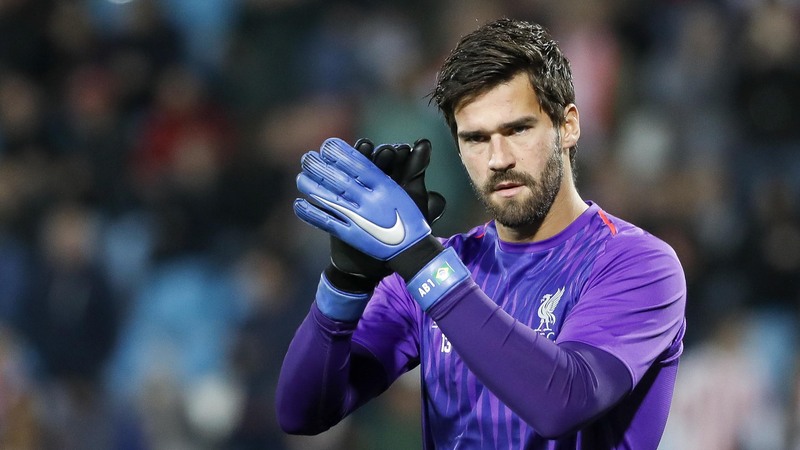 "Given that they now have in Alisson one of the top five keepers in the world and in Virgil van Dijk possibly the best defender on the planet at the moment, Klopp doesn’t need to be so cautious going forward. Those two will put out a lot of fires meaning they can take more risks going forward, including allowing Shaqiri to play as one of the three in midfield alongside say Giorgino Wijnaldum and Jordan Henderson." Things were looking very positive for Liverpool at the turn of the year. Top of the league, in the FA Cup, marginal favourites to progress in the Champions League after being drawn against Bayern Munich. Two months later and they now trail Manchester City in the league, were dumped out of the FA Cup at the first time of asking and the jury is still out as to whether a 0-0 home draw against Bayern Munich improved their chances of progressing, hands Bayern Munich the initiative or makes it a coin toss of a second leg. Probably the latter. So the question is, how can Liverpool's slight loss of form be explained? Summer signing Alisson has mostly been excellent, Xherdan Shaquiri has had his moments, Fabinho has been a useful and reliable player to call upon and Naby Keita has come in and offered another option in midfield. At least he's been far more disciplined than he was last year at Leipzig where he picked up four red cards and 11 bookings. Still, Liverpool may have traded a couple of sendings-off for some goals. He's not even close to the 10 goals he scored last season; he currently has none. Alisson aside, the others haven't been automatic starters presumably because they haven't impressed in training or in games and Jurgen Klopp has often stuck with what (or who) he knows. So whereas City have been rotating their players without losing any quality- not hard when you can count on the likes of Riyad Mahrez, Bernardo Silva, Gabriel Jesus and Vincent Kompany - Liverpool have been gradually accumulating fatigue or dropping points when Klopp's best XI hasn't been available. Not that they've been losing matches. The only one they lost all season was away at Manchester City but with the squad riches Pep Guardiola has, a few draws over a short period and you're under serious pressure. From being odds-on just before Christmas, they're [3.5] to finally win a title. Speaking of draws, there have been three 0-0 ones in their last four matches. You can blame poor finishing to an extent but there's also clearly been a change in mentality. The one against Bayern may have been Klopp just being pragmatic and thinking that put his side in the driving seat for the tie (it's 17/20 the pair to qualify from here) but the ones against Everton and Man Utd were a little less excusable given the circumstances. And by that I mean Everton's own poor form and the fact Manchester United lost three players to injury before half-time. Given that they now have in Alisson one of the top five keepers in the world and in Virgil van Dijk (below) possibly the best defender on the planet at the moment, Klopp doesn't need to be so cautious going forward. Those two will put out a lot of fires meaning they can take more risks going forward, including allowing Shaqiri to play as one of the three in midfield alongside say Giorgino Wijnaldum and Jordan Henderson. There's no need to play three defensively-minded midfielders. And maybe they're better suited to being maverick cavaliers than they are tireless grinders. It's a huge 22/1 they have another 0-0 when hosting Burnley at the weekend. No-one expected Mo Salah (below) to replicate his form from last season but it really has taken a nosedive when comparing like-for-like. 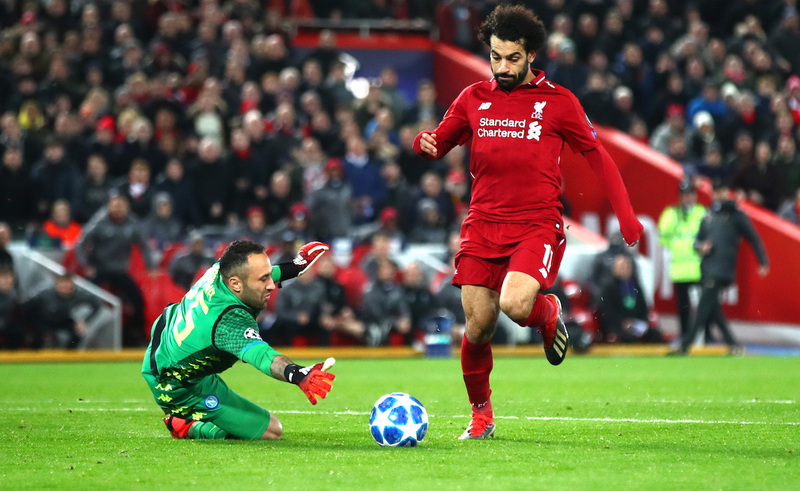 Last season in between the New Year and March 7, Salah played nine matches and scored nine goals. This season in that period he's scored four in 10. Those extra goals made all the difference last campaign. If anything, Salah is trying too hard at the moment to make something happen himself rather than doing what he did last year and just being the man who most often appeared in finishing positions as part of a front three with Roberto Firmino and Sadio Mane that worked as a unit. Still, Betfair Exchange punters make him [3.85] to end as the Premier League's top scorer with Sergio Aguero [2.44] and looks the better bet of the two. Aguero currently leads by one, on 18. Youngster Alexander Trent-Arnold wouldn't make most people's list of Liverpool's most influential players but consider this: his absence through injury between the last week of January and the last week of February coincided with Liverpool's poor run, where they drew four out of five matches. Just to prove the point, on his return from injury he provided three assists as they smashed Watford 5-0. He's the only real natural right-back currently at the club and playing either James Milner or Fabinho there blunts their attacking threat from right-back; not to mention weakens them defensively. He's also the best set-piece taker in the team so they missed out on that as well while he was absent. The youngster is 6/1 to score against Burnley at the weekend but goals aren't really his thing, having just one all season. Of greater interest, albeit at a far shorter price, is the 5/6 that Liverpool win to nil.